How Microsoft Stock (MSFT) Benefits from Buying "Minecraft"
Subject: How Microsoft Stock (MSFT) Benefits from Buying "Minecraft"
While it may seem an odd move by Microsoft Corp. (Nasdaq: MSFT) Chief Executive Officer Satya Nadella, a rumored deal that the tech giant is trying to buy the company that makes the popular "Minecraft" game could deliver some benefits for Microsoft stock. Wall Street was indifferent to the deal, with MSFT stock mostly flat in Wednesday trading. Reports in The Wall Street Journal and The New York Times said that Microsoft is close to making a deal in which it would pay $2 billion for Mojang, the Swedish company that created "Minecraft." It would be the first major deal initiated by Nadella since he took the CEO post, and it's one few would have predicted. In his first six months, Nadella has said cloud computing would be Microsoft's primary focus. And despite the success of the Xbox, Nadella said in a memo earlier this year that it was not a "core business" for the Redmond, Wash.-based company. Even if Microsoft had expressed interest in expanding its gaming footprint, Mojang is not the first name that would spring to mind. 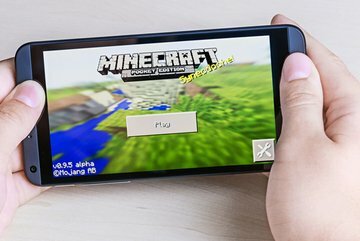 According to The Journal, Mojang made a profit of $115 million last year on $291 million in revenue, so it's a relatively small operation. The founder and majority owner, Markus Persson (known online simply as "Notch") is known for his disdain of large tech companies. The company was formed primarily to manage the unlikely success of "Minecraft," which is an online world in which players create characters that have the freedom to build pretty much anything they can imagine using blocky, 1980s-style graphics while evading monsters such as "creepers" that can sneak up and kill you. That flies in the face of a long-standing trend in gaming toward increasingly sophisticated and realistic graphics, particularly on consoles like Microsoft's Xbox. And yet there are reasons the Mojang acquisition could be a smart move, and ultimately could help Microsoft stock.